I have a healthy appreciation for rules. I am not sure if one of the reasons I enjoy playing games is because I appreciate rules or if I appreciate rules because I play a lot of games. Either way there is a connection there, because games require rules. Rules are the framework that make a game a game. I have read hundreds of rulebooks, and I feel like I have a decent understanding for why certain rules exist, when rules are really good, and when rules are not so hot. Because again, I have a healthy appreciation for rules. It makes me kind of twitchy when people intentionally do not follow the rules in games. Perhaps the single worst game for this is Monopoly. 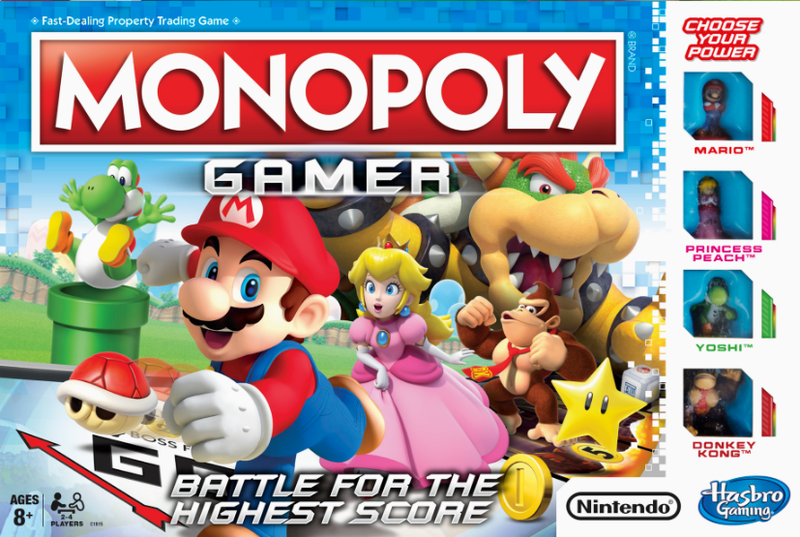 Monopoly is a game that most people have memories of playing, and for a lot of people one of the things they remember is that the game takes forever to play. The reason it takes forever is because a lot of people do not actually play by the rules. By the rules, when someone lands on an unbought property and they choose not to buy it, the property immediately goes up for auction. This ensures that all of the properties are bought up quickly, yet a lot of people are clueless that auctions are part of the rules of Monopoly. Then there is a rule that people add to the game, which all money paid to the game through fines and cards goes into the center of the board. Whenever someone lands on free parking they get all of that money. That free parking rule, is not in the rulebook. Yet, a lot of people have always played it that way. These issues with Monopoly happened due to its popularity. Since the game was released in 1933, a lot of people have played Monopoly, but very few have read the rulebook. Most people learned how to play Monopoly from someone else who may or may not have even looked at the rulebook, and as this has happened over five generations, the rules have not been followed. I wonder if something similar has happened with scripture. People seek to faithfully live as disciples of Christ, but just like people who play Monopoly by the wrong rules they never went to consult the source material. We know that being a disciple of Jesus means following Jesus, but sometimes it seems far too many people never bothered to look up just what commands Jesus gave in the first place. Jesus once said “my yoke is easy and my burden is light.” The reason why being a disciple of Jesus is not burdensome is because of the commands. During Jesus’s time there were several rabbis, these were wise teachers who had an interpretation and understanding of the law that could withstand scrutiny and question. The disciples of the rabbis were expected to know their teacher’s interpretation and unique emphasis backwards and forwards. That was referred to as the rabbi’s yoke. These could be detailed and burdensome, but not Jesus. The way he taught the commands of God was not burdensome. He made it simple, and in the gospels he only lifts up three commands. The greatest is love the Lord your God with all your heart, with all your soul, with all your mind, and with all your strength. The second is like it, love your neighbor as yourself. Jesus stated that all of the law and the prophets hung on these two commands. Then in the gospel of John, on the night of the last supper, Jesus adds a new command: love one another. When it comes to playing monopoly, people get it wrong because they either do not know key rules or they use wrong rules. They way to address these issues in teaching the game is to point out what is the right way as well as what ways have been the wrong way. Clarity goes a long way in helping to understand a game’s rules, and perhaps that is true for following God’s commands as well. To love God with all of heart, all of soul, all of our mind, and all of strength does not leave much wiggle room. It means we love God with our entire being, and that means God is the first and greatest love of our life. Jesus himself said that a person cannot serve two masters, that we cannot love both God and money. Yet there are many people who in chasing the American dream and the promise of financial security have fallen in love with money. Money, power, security, fame, political ideology can all at worse be false idols and are at best petty distractions. At either level, they can get between us and loving God. They distract us from how non-burdensome loving God is, because God is so worth loving. As 1 John 4:19 states we love because he first loved us, and God has never stopped loving us. When we begin to even get the faintest glimpse of how much God love us, then loving God is the most natural and pure response. It is a good, right and proper thing for us to love God with all of being for who God and for what God has done for us. The second command to love our neighbor as ourselves is also not burdensome. Often this command brings up a qualifying question, just as it did in Jesus day, of “well then, who is my neighbor?” The fact that we are prone to even ponder that questions though shows just how much we need to overcome the world. As disciples of Jesus we are supposed to love our neighbors as ourselves. Let’s not worry about qualifying who our neighbor is, because our neighbors are the people we take the time to notice and take time to love. Trying to always figure out who is an who is out of our little group, that is the way of the world and that kind of vain gatekeeping is exhaustingly burdensome. Let us simply love others without condition, and we let God worry about sorting them out later. The final command, to love one another is also not burdensome. However, it may actually be the hardest one to follow. I have two children, and I have no doubt they love each other very much. Yet, if you have more than one child or siblings of your own, then you know that any given moment the way they treat each other is not always the most loving. It seems to be that the people we are closest to are the ones that we sometimes have the least patience with, argue the most with, and are the least forgiving with. That can be true in the body of Christ as well, which is why the new command that Jesus gave was to love one another. Again, we have to overcome the way of the world. Often our personal conflicts resolve from the fact that at least one of us involved (often both) are being more selfish than they should be. Love though, is self-less and others focused. It is the way of the world to put ourselves first, but when we overcome that we put each other first and we love one another. In loving one another as the body of Christ the church becomes the incubator for God’s love. We gain a better understanding of God’s love through how we experience and we are better able to love our neighbor through how we model love to one another. The commands of God are simple: Love God, love others, love each other. It truly can all be summed up by love. These commands are not burdensome, but they can start off feeling that way because the only way we get better at love is by practicing. If you want to be more serious about following the commands of God in your everyday life, then I do have a simple suggestion. Before you act and before you speak, ask yourself “is this loving? Does this express love to God or love for another person?” and then only continue if the answer is yes. It is true that evaluating all of our words and actions will feel burdensome, but only at first. As I mentioned, I have read the rules for hundreds of games. At first, the rule book (especially the thick rulebooks) feel burdensome. I have to consult them and re-read them regularly. Yet, the more experience I get at the game, the more practice I have with the rules, the more natural following them becomes. Eventually, I can get to the place where I know the rules. I do not have them memorized nor can I cite page numbers, but I internally know the game, I can follow all of the rules perfectly, and I can then share those rules with others. In much the same way, if we seek to practice being more loving regularly, it will get easier. The rules will become second nature to us, and we will be living as true disciples.